Harrison Bay State Park is a 1,200-acre park situated along the banks of Chickamauga Lake in Harrison. The park offers three trails, all easy to moderate in difficulty. The Bay Point Loop Trail is a 4.5-mile trek, the Lakeshore Nature Trail is a 1-mile loop, and there is a short 0.5-mile loop trail near the marina. Leashed dogs are welcome to partake of these trails with their humans. Big Soddy Creek Gulf, located in Soddy-Daisy, offers flat and easy hiking on an old mining road along beautiful Big Soddy Creek. Hike 1.2 miles to the confluence of Board Camp Creek with Big Soddy Creek to enjoy some wilderness solitude. Along the way, enjoy a small waterfall tumbling over a rock wall and a small beach area for wading and skipping rocks. Big Soddy Creek Gulf connects with the Cumberland Trail beyond Board Camp Creek. The Laurel-Snow State Natural Area, located near Dayton, is named after its two featured waterfalls: Laurel Falls (80 feet) and Snow Falls (35 feet). The area also includes a short section of the main Cumberland Trail, which takes you to a 150-foot bridge. Furry friends will enjoy the 4.8-mile round-trip hike to Laurel Falls along the Laurel Falls spur trail, which follows Richland Creek upstream. The Snow Falls spur trail is a more difficult 10-mile round-trip hike that requires crossing Richland Creek. South Cumberland State Park consists of 11 sections of park located within four Tennessee counties: Grundy, Marion, Sequatchie and Franklin. The park offers a wide variety of trails that feature waterfalls, scenic overlooks, rock outcrops and, in general, beautiful places to enjoy the great outdoors. Dogs are allowed on trails within the park, but must be kept on a leash. Take your dog along the Savage Day Loop Trail for a moderate 4.2-mile round-trip hike along the eastern prong of the Savage Gulf canyon area. Take the South Rim Trail for an additional 1-mile round-trip excursion to Savage Falls, an impressive 30-foot waterfall. The Savage Day Loop Trail and South Rim Trail both feature swinging bridges for some added adventure. The trail begins at the Savage Gulf Ranger Station in Palmer. Another great dog-friendly hike within the South Cumberland State Park system is the trail to Sycamore Falls (12 feet) and Bluehole Falls (9 feet). Begin your hike at the Grundy Forest State Natural Area parking lot in Tracy City. Take the Grundy Day Loop for a 2.6-mile round-trip hike past Bluehole Falls, Black Canyon Cascades and some interesting geologic formations. Then, take the short 0.6-mile spur trail (the Fiery Gizzard Trail) to arrive at Sycamore Falls. Both falls feature blue holes for wading and cooling off during warmer weather. Another option within South Cumberland State Park is the Meadow Trail, a wide 2-mile trail through an established natural meadow at the visitors center, which is located on U.S. 41 between Monteagle and Tracy City. 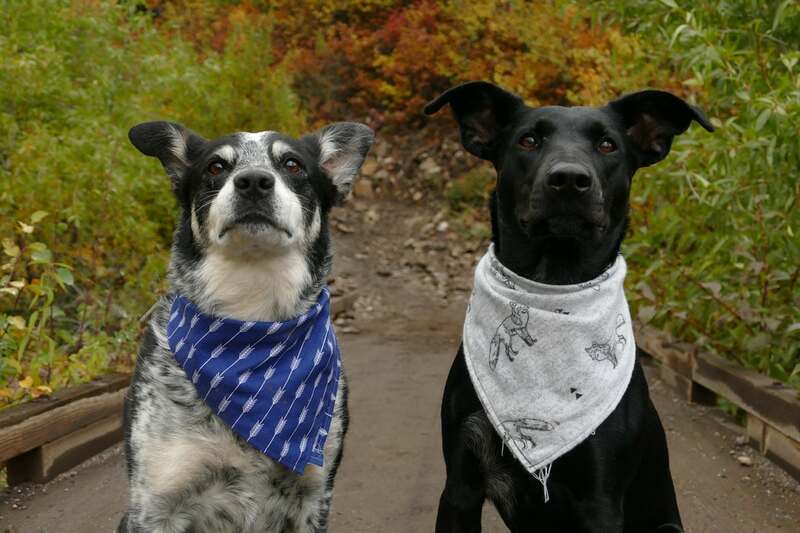 Be sure to check out the park’s website for upcoming dog-friendly hikes. Ranger Jessie McNeel frequently leads guided dog hikes in the park. TVA’s Little Cedar Mountain Small Wild Area lies along the shore of Nickajack Lake right off I-24 in Jasper. The 4-mile trail offers scenic overlooks and access to Nickajack Lake. Local hiking enthusiast Bob Butters enjoys hiking with his dogs on Little Cedar Mountain. “I tend to look for trails that are likely to have enough water along the way that I don’t have to carry a ton of water for the dogs,” he said. And in your quest to find a place to walk with your pooch, don’t forget about what’s here in our backyard: Stringer’s Ridge. Located in the North Shore area of Chattanooga, Stringer’s Ridge has views, trails and everything you could want in a quick hike. 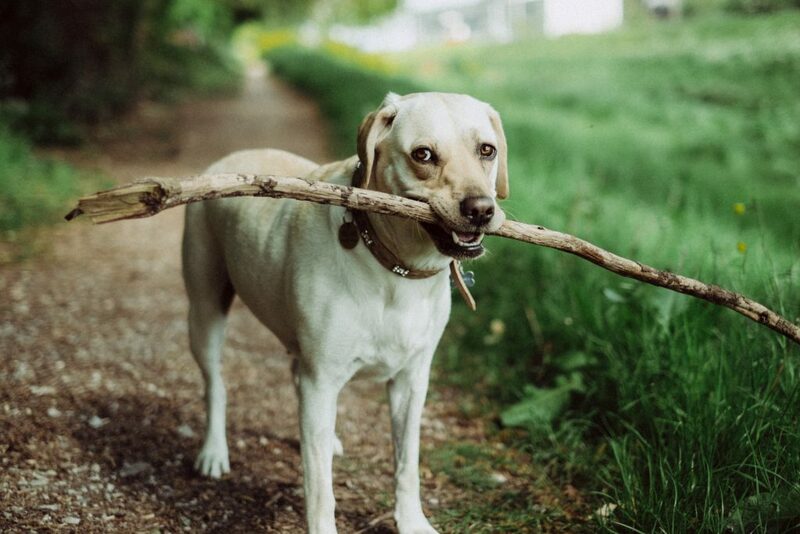 “It’s super-dog-friendly, has wide trails and dog waste stations, and everyone I’ve met along the trails has either had dogs or wanted to say hello to my dog,” said Madeline Shelton, a regional planner with the Southeast Tennessee Development District in Chattanooga, Tenn.